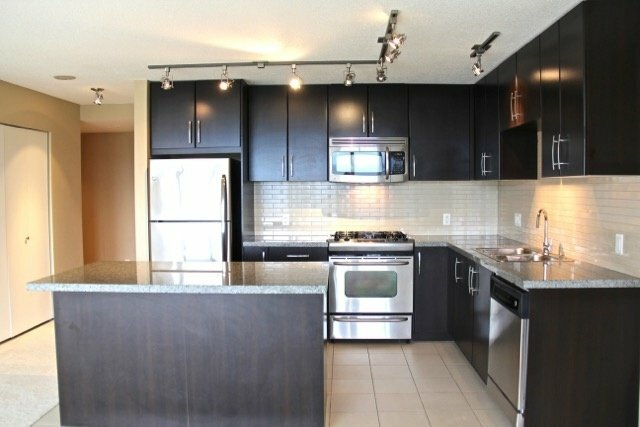 Fantastic CORNER Unit with unobstructed WATER and Mountain views!! Welcome to Nahanni, built by Polygon this home features a Bright, and spacious floor plan. Features include a Gourmet kitchen with Gas stovetop and Stainless Steel Appliances, Large kitchen Island and Granite counter-tops, spacious bedrooms and generous Master Bedroom Walk-In Closet. Located with-in close proximity to all of your shopping needs or a brief stroll takes you into nature's trails, this home delivers. The large Amenities room includes Outdoor pool, Steam/Sauna, and Tennis Courts. Comes with 1 Parking.